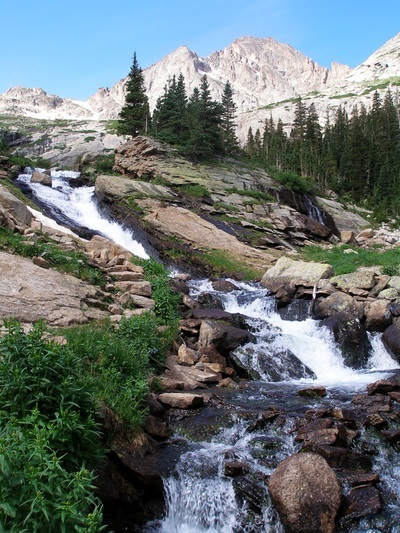 Directions: This hike starts from the Glacier Gorge Trailhead near Bear Lake. Enter the park through the Beaver Meadows entrance (entrance fee required), make a left on Bear Lake Road and travel almost to the end. 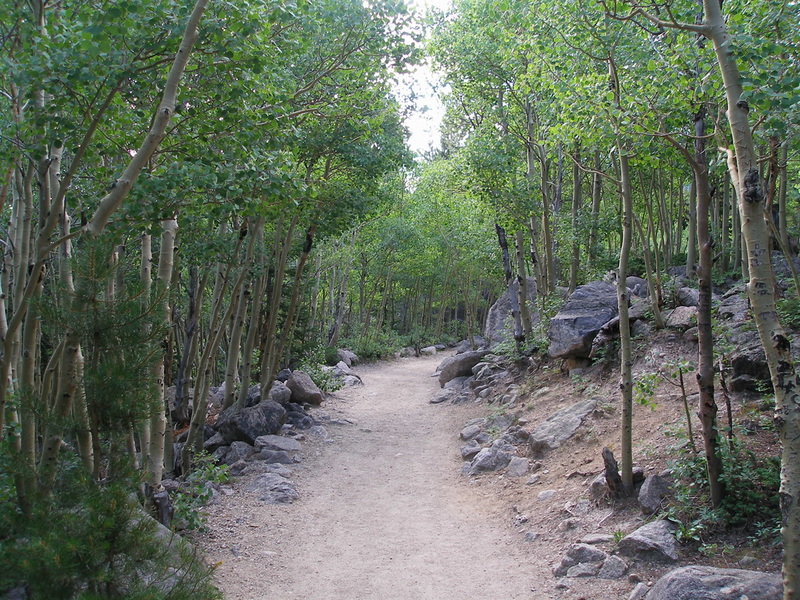 The Glacier Gorge Trailhead is the last one till Bear Lake. If this parking area is full you can park at Bear Lake and walk the .5 mi trail to Glacier Gorge. Alternatively you can take the shuttle from the park and ride to the Trailhead. The hike to Black Lake is one of the best in the park. 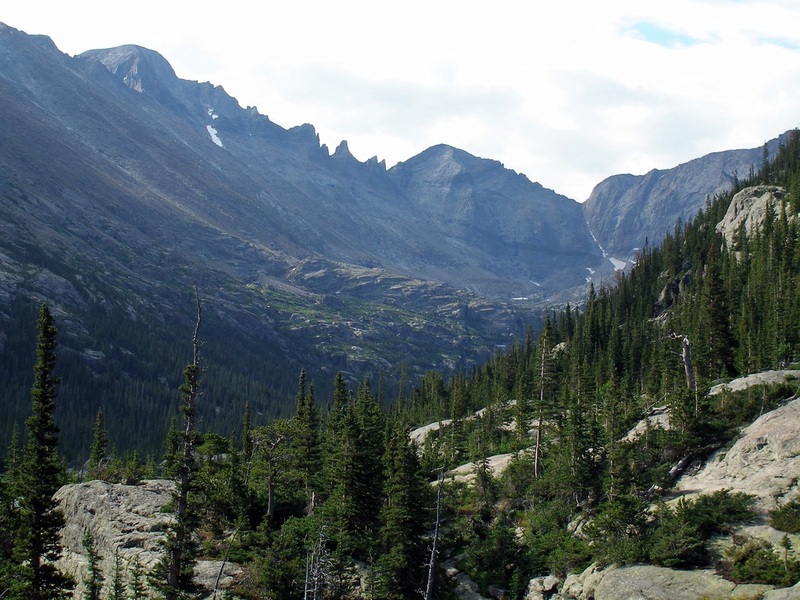 It crosses the true heart of Rocky Mountain National Park, forget Trail Ridge Road (but not really 'cause it's awesome...) Glacier Gorge gets you up close and personal with the best scenery in the park. 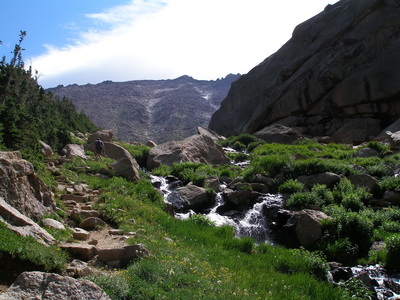 This hike is similar to the hike up to Sky Pond as it travels up an adjacent drainage. The great thing about this hike is the multitude of amazing and iconic features that you'll see. 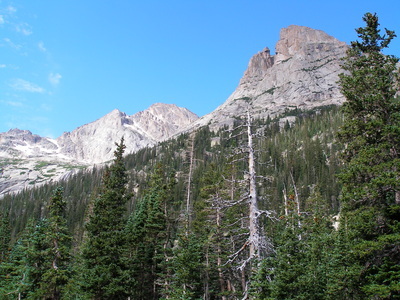 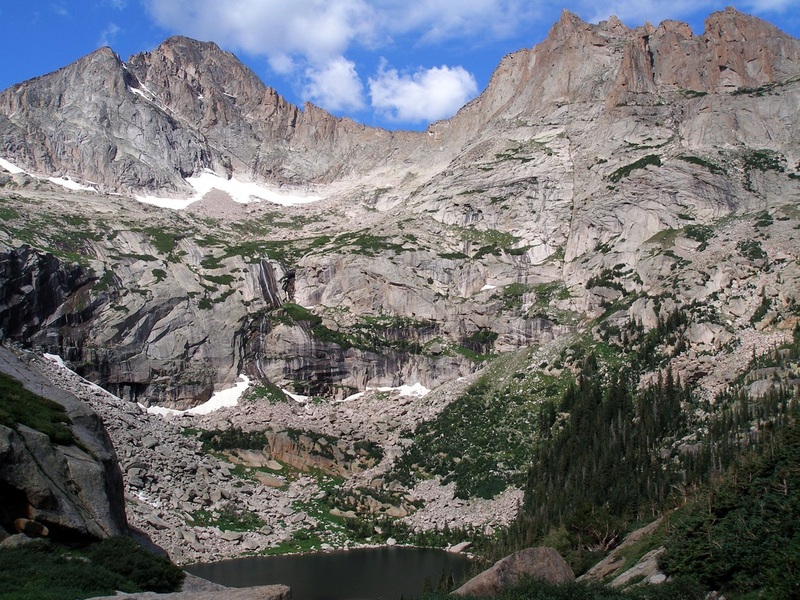 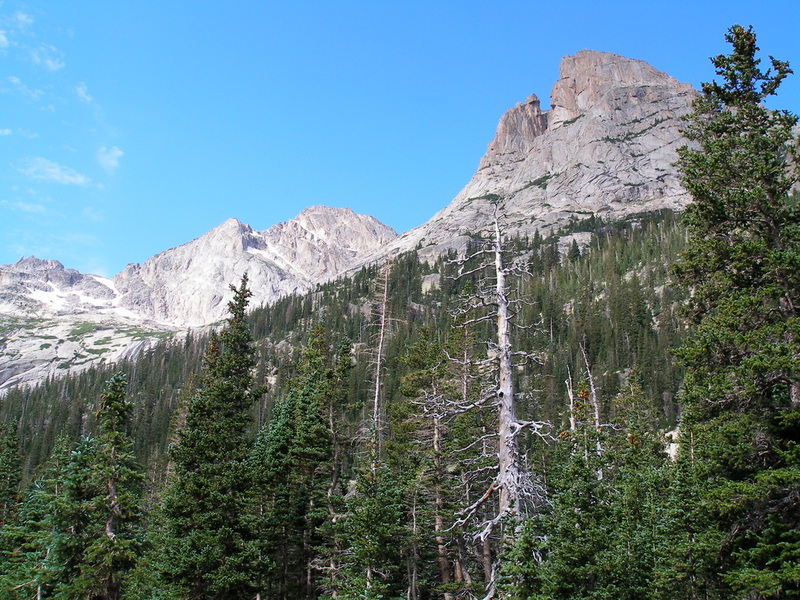 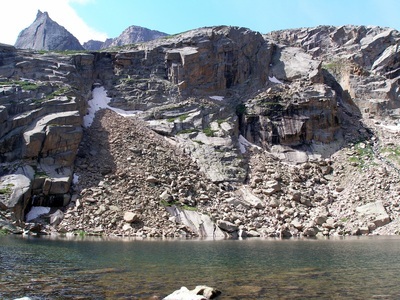 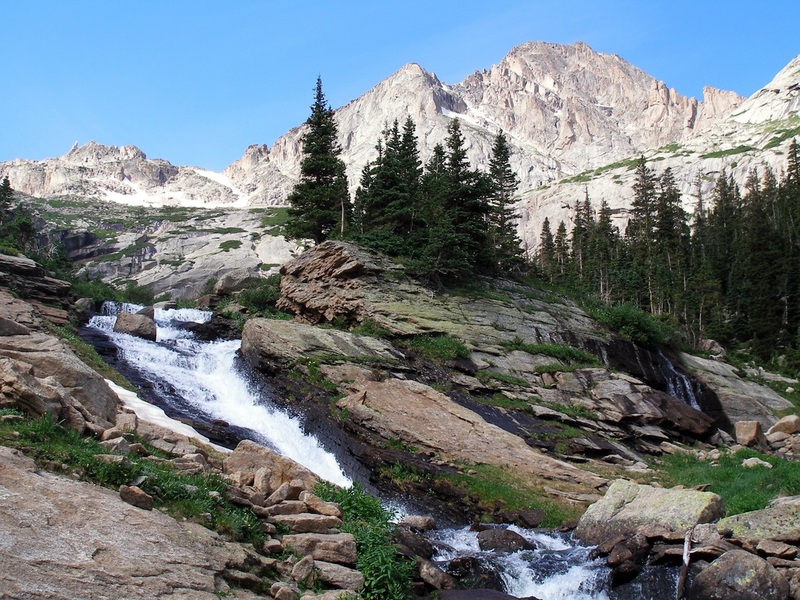 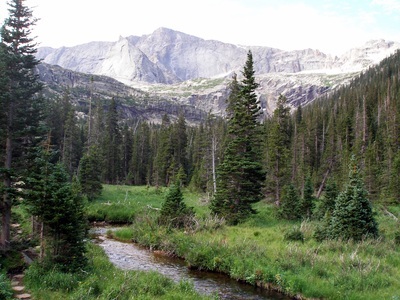 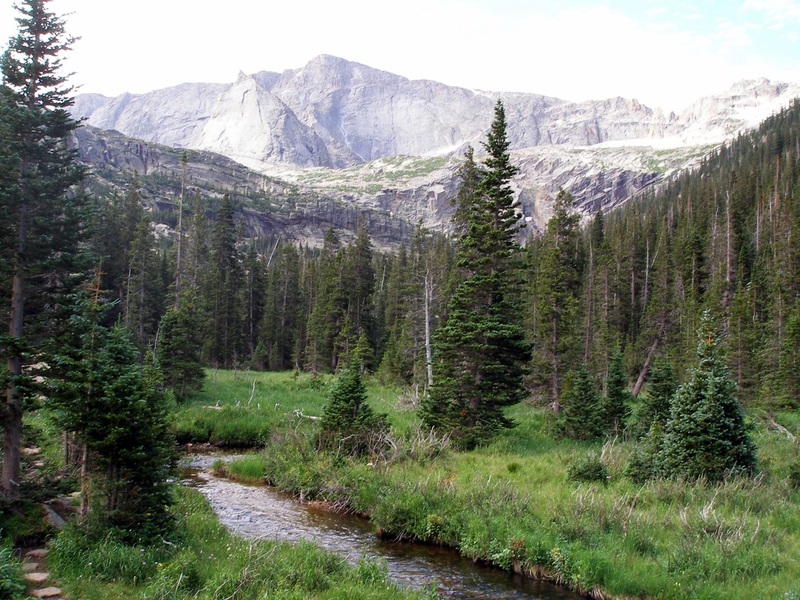 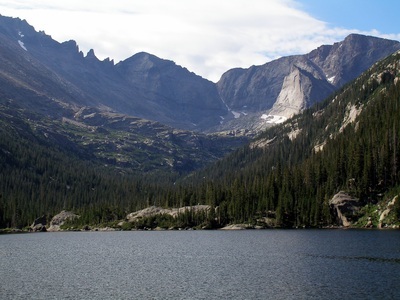 Aside from the fact that you are right up against the backside of Longs Peak with almost constant views of the Keyboard of the Winds, you'll travel to Alberta Falls, Mills Lake, Ribbon Falls, and finally Black Lake. 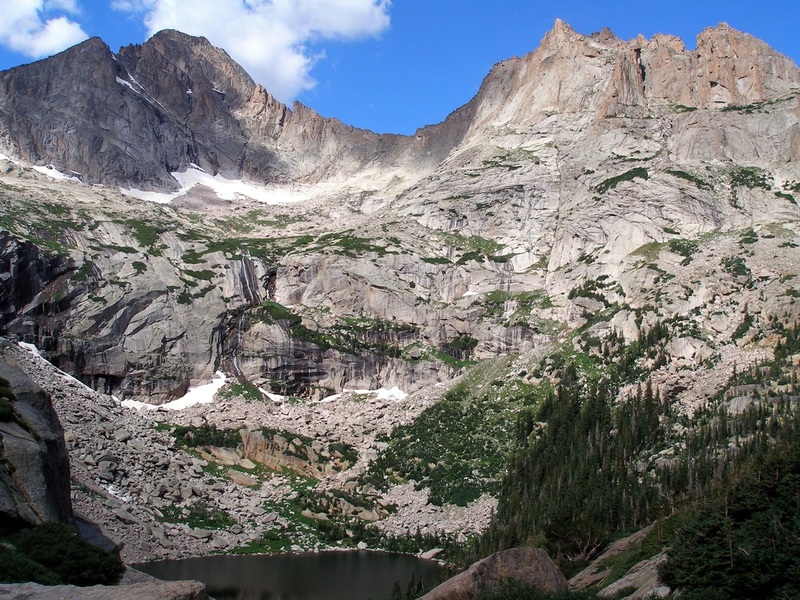 Keep your eyes out for the Sharktooth, you'll know it when you see it! 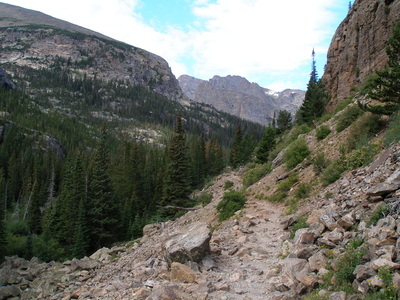 Starting at the Glacier Gorge Trailhead follow the throngs of people (if you come in the summer) to Alberta Falls (1/4 mi). 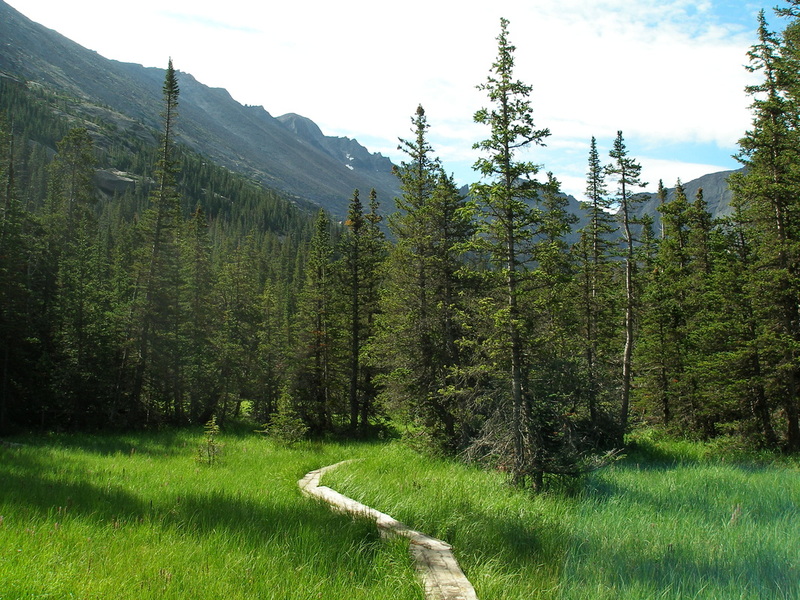 This is the destination for most of the folks on the trail, so you're relative solitude starts here. 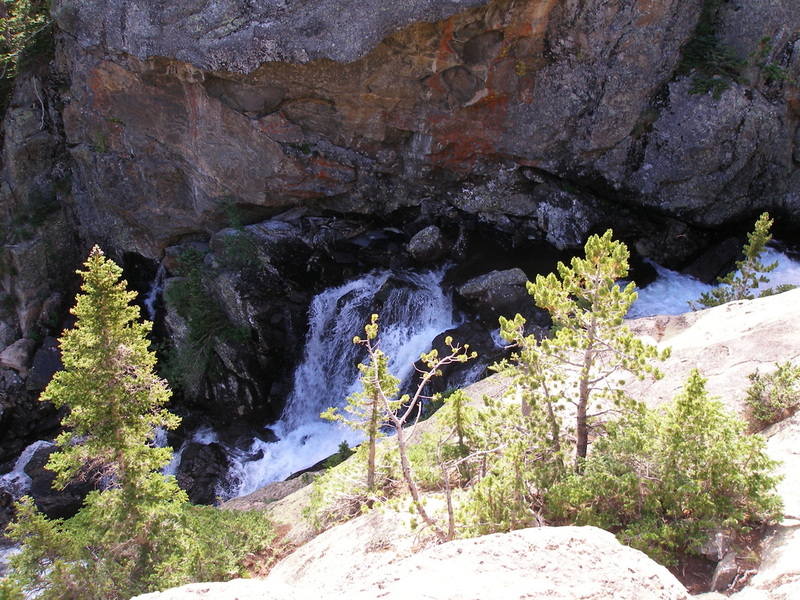 Travel up a stunning canyon till you reach a junction. 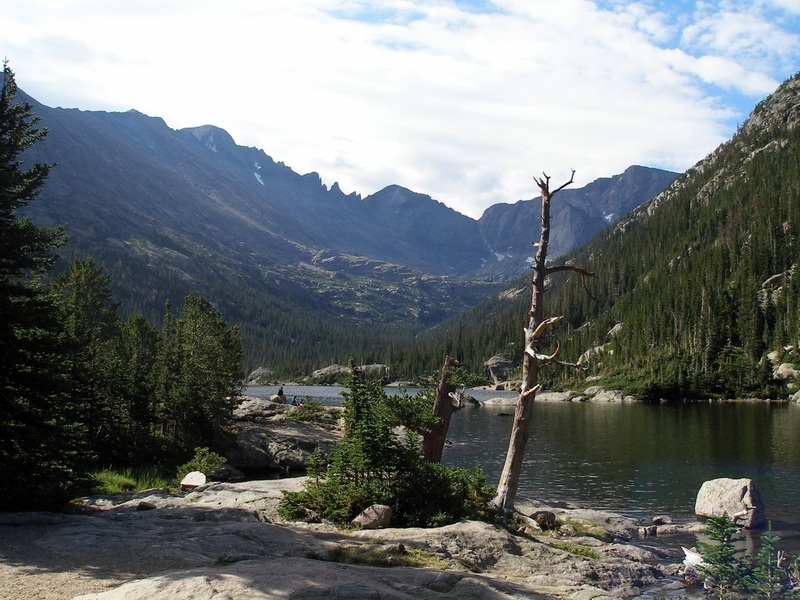 Right lead to the Loch, but you'll bear left, cross the river, and find yourself at Mills Lake. 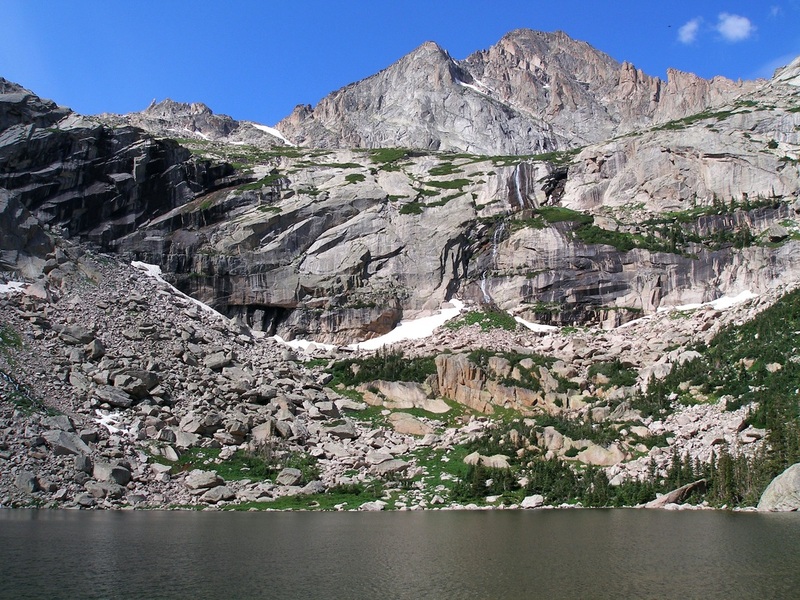 Mills Lake is a beautiful destination in it's own right, and there at the far end is the Sharktooth, very cool. 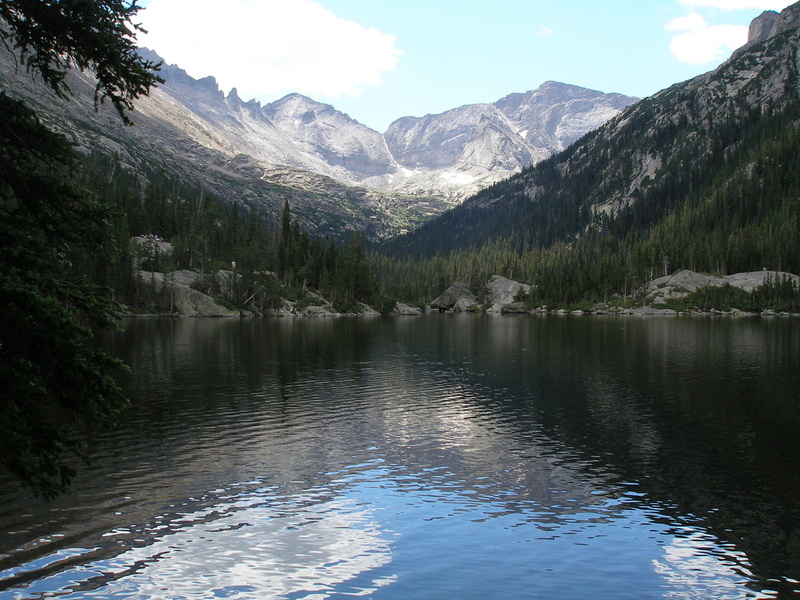 Travel along the east shore of Mills Lake and back in the woods for a long stretch following the creek in evergreen forest. 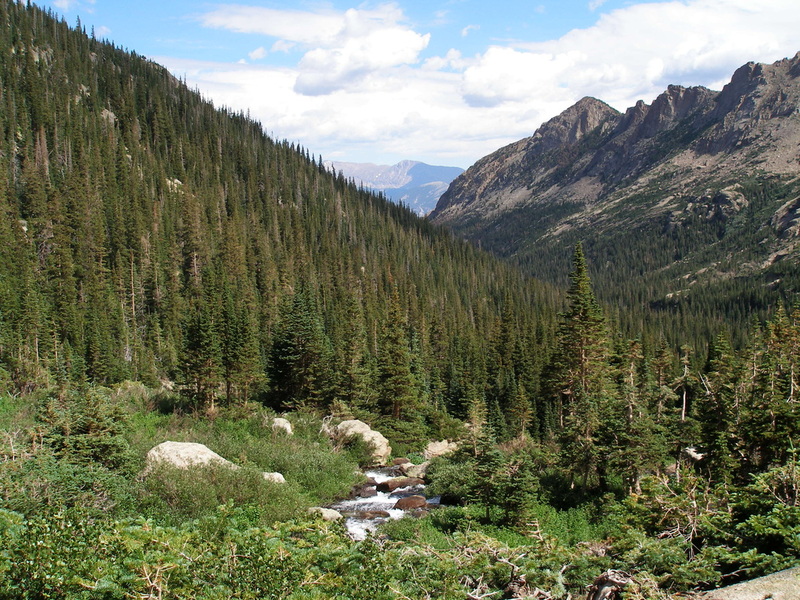 When you pop out of the woods, you're in Shangri-La. Seriously, this is the Garden of Eden times ten. 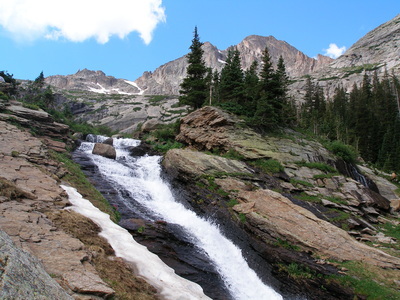 From here, till you reach Black Lake you'll be hiking up through a gorge following the creek as it pours out from Black Lake and cascades down the valley. Waterfalls, lush vegetation, towering peaks, elk, this is pure paradise. Eventually, you'll summit the bench and find yourself at Black Lake. 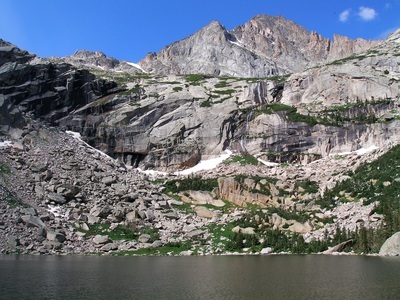 Black Lake is a small lake tucked away under the steep slopes of McHenry's Peak. 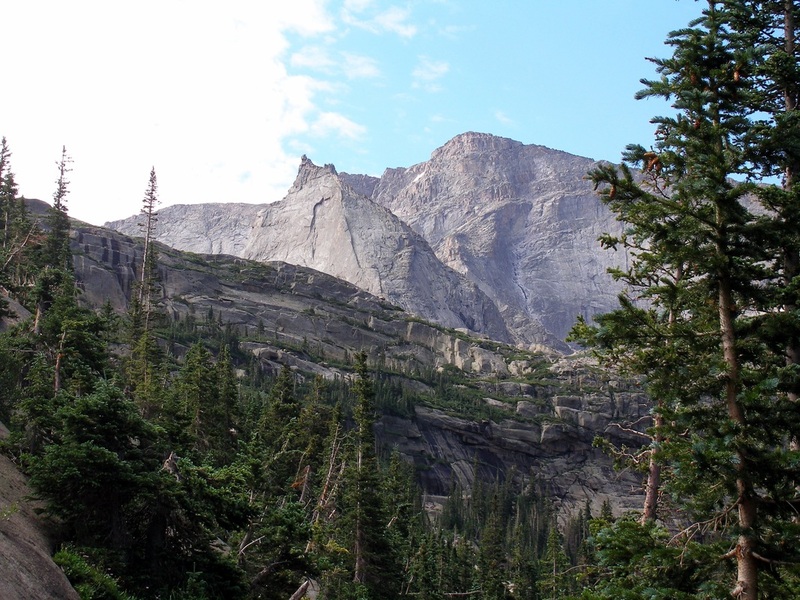 You'll need a wide angle lens to properly photograph it (which I did not have back then), and you'll hurt your neck cramming to see the peaks, but it's worth it. Here's a little tip, there is another lake, not much further, go there. The trail is steep and follows the cascading stream further up the Divide. 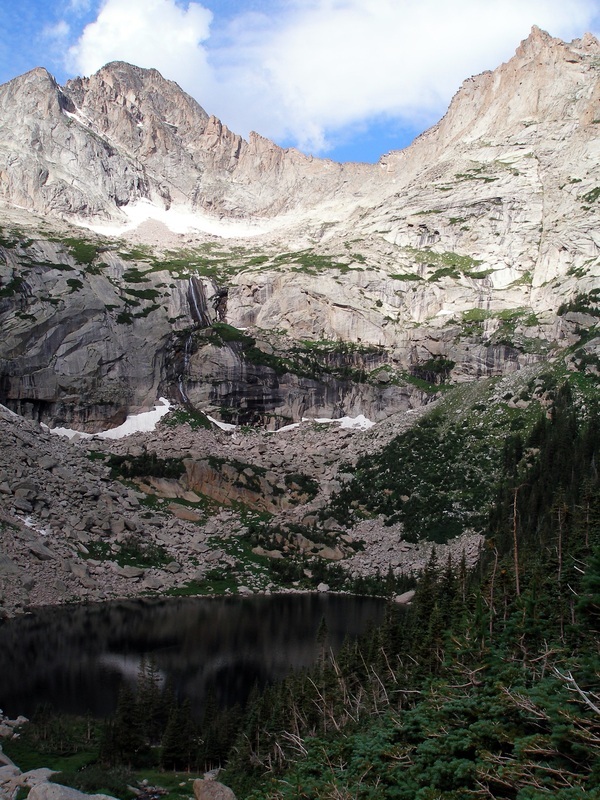 From the trail you'll look down on Black Lake, it's a little more effort but an added bonus. Relax and enjoy paradise, but when the sky gets a little darker, start heading back. 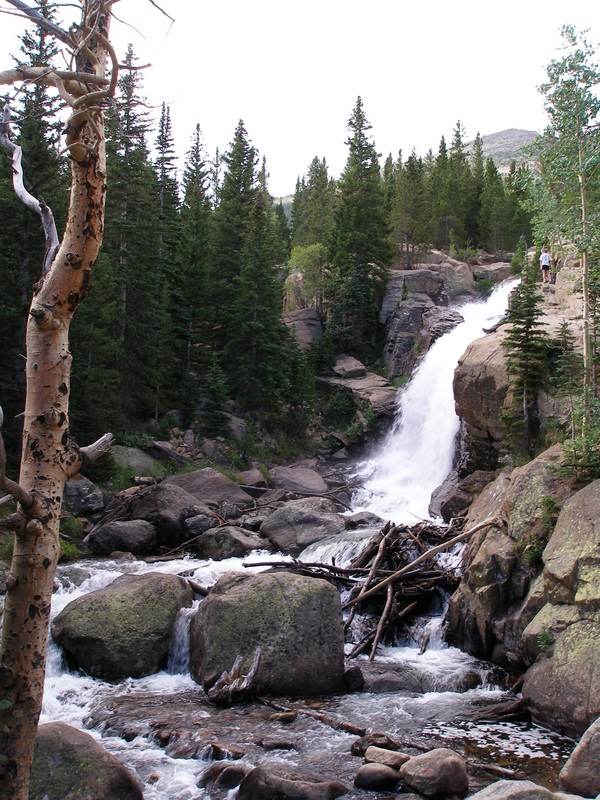 When you get back to the parade of tourists, you'll laugh as they ask you how much farther to the Water Fall. Grin your smug little grin as you wait for the shuttle, you've earned it.